The practice of yoga is rapidly developing in prevalence everywhere throughout the world. Individuals in each landmass are starting to see and feel the advantages of yoga practice in different aspects of their life. Yoga is being prescribed by therapeutic specialists, clinicians, and other mending callings as an approach to recuperate the psyche, body, and soul on many levels. With this popularity for yoga comes an appeal for qualified proficient yoga teachers. 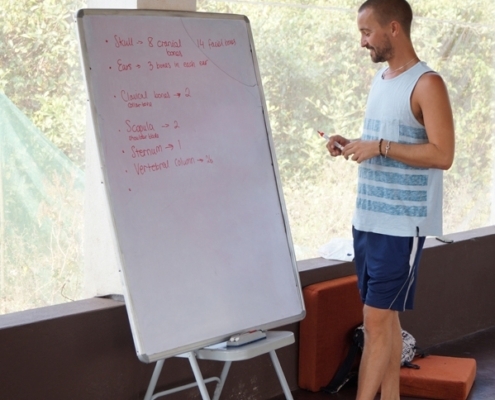 Mahi Yoga offers private 200 hours YTTC and 300 hours YTTC at Yoga Alliance (USA) enrolled Yoga Teacher Training in Goa to outfit you with the important training. Our school gives the experience and certifications important to convey the mending advantages of yoga to the general population you need to reach in your group. You are here in light of the fact that you put stock in the force of yoga. Presently permit us to show you why it works! Our courses and Teachers of Yoga Teacher Training in Goa are intended to give the most extreme presentation to the review and practice of yoga with classes proposed to extend your insight into Yoga Philosophy, Spirituality, Teaching Methodology, Yoga Sutras, Asanas, Pranayamas, Bandhas, Mudras, Kriyas, and Meditation.Our programs completely agree to the guidelines set by Yoga Alliance, allowing our graduates to enlist with this regarded association as (Registered Yoga Teacher) RYT 200 or RYT 300. Our yoga courses offer a top to bottom information of Yoga and its standards, with an educational module figured to build up your comprehension of yoga, give chances to spiritual development and improve your instructing potential. Our Yoga Teacher Training in Goa offers hypothetical and commonsense learning of Yoga for potentially to be yoga trainers. We give a hands-on training program that will help you learn through involvement. Our course incorporates abundant time for practice instructing with kindred students one on one, in little gatherings, lastly to a full class. The asana (stances) classes will incorporate address and experiential time committed to the investigation of human life systems and in addition, legitimately alter students and adjusting arrangement in various postures. 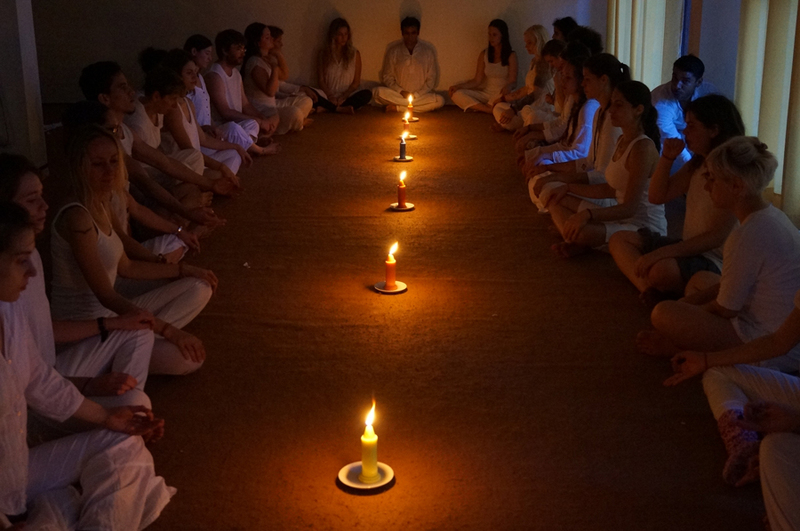 The 200 hrs yoga teacher training in Goa will prepare you to begin educating with certainty, helping other people find out about yoga, through your own particular experience and voice. Likewise, it is an open door for all. Our prominent 200-hour yoga teacher training in Goa is intended to give the fundamental establishment to yoga practice and instructing. We acknowledge all experience levels, as we trust that yoga is a practice that can be instructed and practiced by all individuals. The educational modules incorporate yogic history, reasoning, and practices introduced at a fundamental level for general comprehension. The course incorporates into class hours, self-think about, verbal tests, and instructing practicum. Amid this course, the student will take in the nuts and bolts of yoga asana, pranayama, and meditation. Patanjali’s Yoga Sutra will be examined and alluded to as the establishment philosophical and directing content of this course. We will examine life systems of the body as it identifies with yoga, so students can comprehend what muscles are being utilized as a part of every asana and how they can help their future students. Students will find out about the matter of yoga too. Showing technique will be talked about and students will figure out how to watch others bodies keeping in mind the end goal to delicately remedy their stances. We will likewise find out about unobtrusive vitality life systems including chakras, nadis, and kundalini. Students will figure out how to succession a yoga class, moral rules for yoga teachers, and how to be a viable yoga teacher. We will likewise talk about and practice Bandhas (Binds), Mudras (Yogic Gestures), Kriyas (purging procedures), and Mantra Chanting. An endless supply of the program, the member will be qualified to apply as a 200 Registered Yoga Teacher with the Yoga Alliance. These certifications set the hopeful high over the rest, as there is a particular educational module which must be followed as well, making the most balanced and arranged yoga teachers accessible. The 300-hour yoga teacher training in Goa is for those students who have effectively finished a 200 hour Yoga Teacher Training course and are currently prepared to assist their yoga instruction and yoga training. 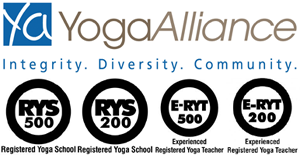 In spite of the fact that we urge students to pick up yoga showing knowledge before entering the 300-hour yoga program, we do acknowledge those candidates who have earned their 200 hours enlisted yoga teacher (RYT) with yoga cooperation, USA authentication, however, have not yet had room schedule-wise to instruct. The 300 hours yoga course develops the student’s as of now existing information from their past training. This course is a one month, private yoga program, and all classes are hung nearby. Student’s will practice more propelled asanas, concentrate further yogic rationality, and be distributed more opportunity for free review, showing hours, and individual contemplation. Students will likewise concentrate normal infections with their causes, indications, and yogic treatment. Numerous students like to do the 300 hours yoga training in India on the grounds that the yoga instruction which students will get here is in all likelihood not quite the same as that which they got in their past training. While numerous ideas of yoga are instructed comparably all through the world, learning yoga in India is a really special affair which furnishes students with an excellent training. Any individual with an enthusiasm for learning antiquated conventional yoga and its connected science, with the capacity to take after the guidelines and addresses in English. The candidate’s age ought to be between 18 to 60 years age at the season of confirmation. The candidate ought to be in a decent wellbeing since we have an exceptionally bustling calendar with no less than 7 to 9 hours day by day. No past experience of yoga instructing is needed. This course is for any individual who craves a hosted comprehension of the reach of yoga. This incorporates yoga figuring out how to show yoga, as well as consolidating the rationality of yoga into one’s way of life. Regardless of whether you are a yoga expert trying to develop your own practice, a teacher searching for motivation, or totally new to yoga, our Teacher Training Course gives a balanced yoga encounter, setting one up to be a rousing teacher and sure yogi. Goa is one of the most beautiful coastline towns in all of India and likewise, the perfect relaxing retreat for anybody looking to study yoga. Here you can come in contact with that wonderful and unique smell of the sea coupled with the sound of the waves hitting the beach, all of which turn Goa into a tropic like environment, perfect for meditating and losing yourself for hours in your head practicing yoga. The climate resembles that of a tropical island and we guarantee you that you will not want to leave this town ever again after seeing it yourself. India is the cradle of yoga knowledge and the yoga teachers that will train you here have learned their facts from ancient people that have practiced this art since ancient times. Once here, you can take advantage of the great warm climate, as well as the ancient knowledge passed down from generation to generation and the wonderfully colored culture that will leave you breathless, we are sure of it. There are numerous training yoga retreats here due to these very reasons, which turned Goa into one of the most popular destinations for yoga trainers. The tourists that have come here and become our yoga students have praised not only the environment but also the local people in this area. They shared with us their wonderful experiences they had with the kind and welcoming locals who are nice to everybody, regardless of their country of origins. They also shared the fact that they did not encounter any language barriers with them, because the Goans all understand and speak English perfectly, as well as other international languages, which means that asking for directions towards a certain place is no longer restricted by language. We have chosen to build our yoga resort where we teach teacher training yoga courses on the beach of Arambol because it is a beautiful location set near a lake with clear water so the nature enthusiasts will feel in their natural environment here. Each room in the hotels combines the usual elegance one would find in a top hotel with the typical look of the Goa region that includes a balcony for landscape viewing and bathrooms with a constant flow of hot water. Being an Indian town, perhaps you, an international tourist looking for yoga courses, will find it difficult to believe that it is safe here, but we can assure you that we offer security around the clock. We have professional guards hired to make sure that all our students are safe. At our restaurant, you can have vegetarian meals every day except weekdays and if you want to try the local cuisine, you should know that there are plenty of restaurants all around the resort that are more than happy to introduce you to traditional foods. The Mahi yoga center is something every yoga enthusiast will fall in love with, which is why you can’t miss this unique opportunity. The Mahi yoga teacher training in India, in Goa to be more specific, is one of the best centers where you can take yoga teacher training courses in India. Here you can get the opportunity of studying in a large hall with all the facilities offered by our center. 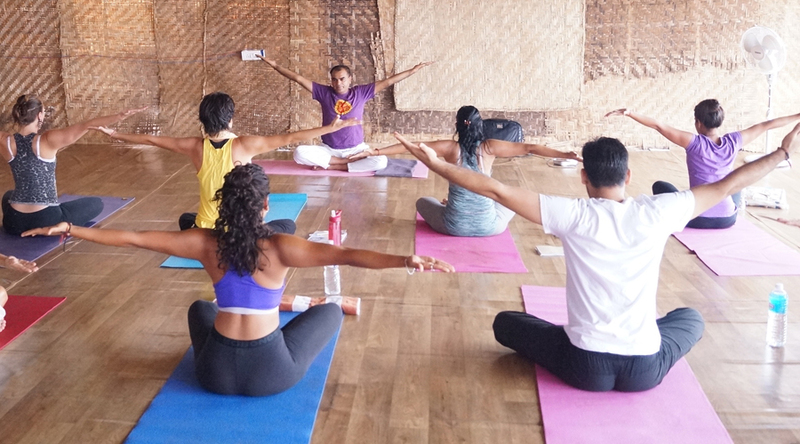 Our yoga teachers are some of the best in the country and the overall atmosphere of the entire center where we teach yoga teacher training in Goa is perfect for meditation and relaxation. As we know, practicing yoga in a peaceful environment is highly important and this is exactly what you will find at our center. We also teach workshops of all kinds for students and for teachers and after the courses, you can always step outside and practice what you learned in a pristine and wonderful environment. You probably don’t expect this, but your day here, at our yoga center, will be full of physical exercise. The early birds will take advantage of the early morning sun rays that will caress you as you do your yoga kriyas and the meditation. Then you will have breakfast, depending on what food you ordered, after which you will attend yoga courses where you will learn about many things from how to teach yoga to your future students to how to heal various parts of the body and what’s the philosophy behind yoga teaching. After this course, you will have lunch at our restaurant and in the evening, you will participate in specific workshops organized by our yoga teachers where you will learn more about the proper ways of teaching this ancient art of yoga. Our yoga teacher training courses in Goa are not only about yoga philosophy and how to better understand the human body but also about how to teach yoga to students of all ages and backgrounds and how to teach asana among others. You will have plenty of fun here and you will learn things by practicing them. But how will our yoga teacher training courses in Goa help you in the future? Here, at the Mahi yoga training center, we focus on making you forget all about the chaos in your life and about the things that led to it, because many people are unaware of the things that hurt them and they cannot “unlearn them” so to say, because they have become our daily routine. Once you are at our center, we will focus a lot on making you replace this bad routine with a healthier one so you can leave Goa a healthier individual. 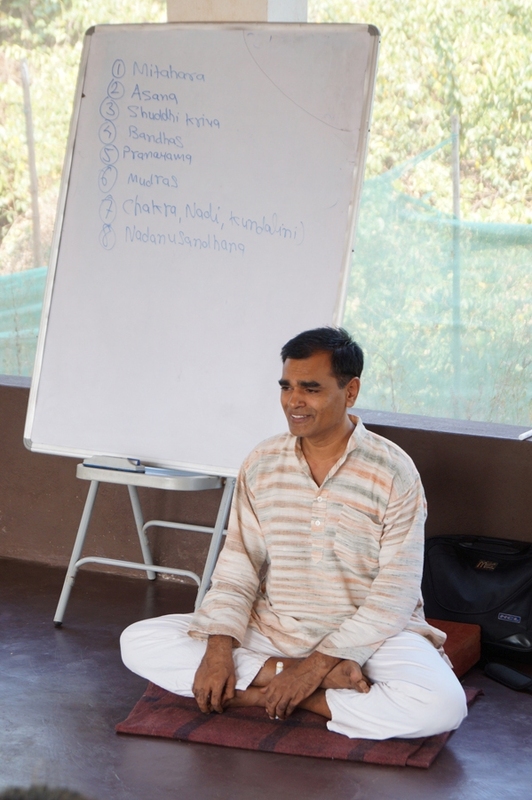 At our yoga teacher training center in Goa, we also focus on making you unleash your true potential. We are sure that everybody has at once felt their inner true potential, but few have used it completely. Do you have a phobia? Are you afraid of something? No worries. You can come here, at our center, and we will teach you how to become the person you were destined to be. We also believe that a true yoga teacher has to practice its craft before being able to teach it to somebody else, so here, at our center, we will make sure that every future yoga teacher will get to practice what he learns. Our teachers are great and will offer plenty of guidance to those that seek it in order to practice what they have learned in our yoga teacher training courses in India. Since yoga is an ancient art, if you want to be able to teach it to someone outside India, where yoga was born and continues to thrive, you have to know the right way to teaching yoga. Here we will make sure you will learn how a professional teaches yoga, a technique that has to be used when teaching strangers and people that have come in contact before with yoga or not. This way of teaching is different than the way you would teach yoga to your friends or family. It’s not all about learning how to do your asanas properly, it’s more than that. We here, at Mahi yoga teaching, emphasize on this and make sure that every one of our students will leave our teacher training courses a professional that will know how to teach yoga to strangers. Once you come here, you will see how your life transforms itself. Yoga teaches you how to change both your physical body, as well as your mind. 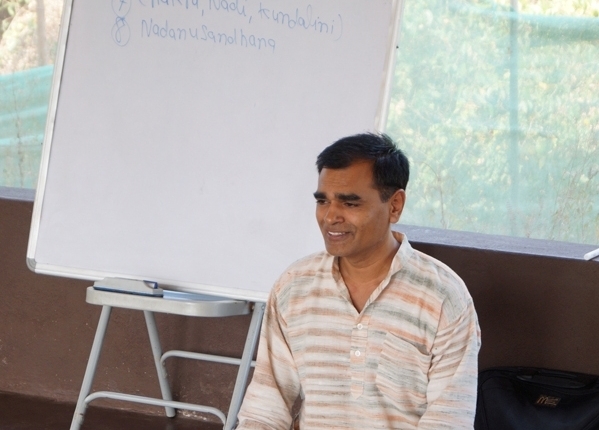 There is a deep connection between these two you can access the courses we teach here, at Mahi yoga teacher training courses in Goa. 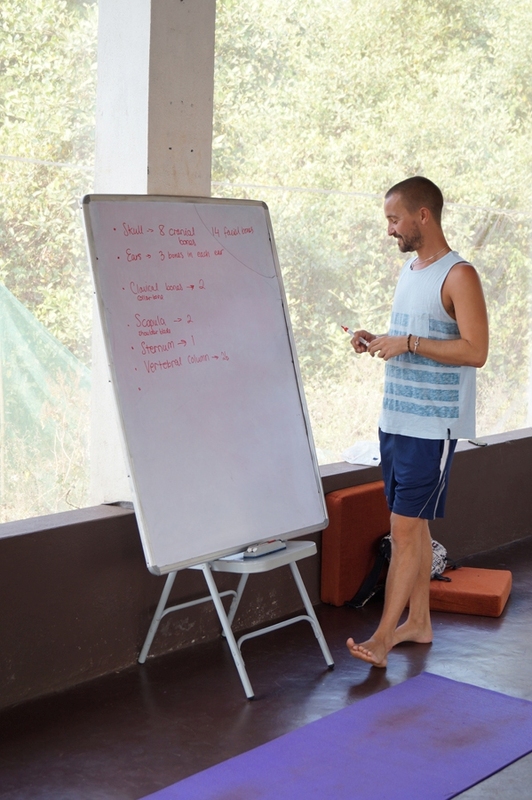 While studying how to become a yoga teacher at Mahi teacher training resort, you will also find people that think alike, students from all around the world sharing the same passion: yoga. And they all, like you, want to learn how to teach it correctly, professionally, so you will be able to talk and form long lasting friendships with them, friendships that will last much, much longer than the few months you will spend here, at Mahi yoga teacher training center. We, at Mahi Yoga Centre, believe that the yoga principles should be adopted in everyday life because they will manifest themselves in well-being and goodness. We consider that these retreats will turn you into a better person, while also putting you in contact with the ancient knowledge that looms in the sacred place of Dharamsala. It is our belief that yoga is a great science that has to be passed down to as many people as possible and our students, the future yoga teachers, are grateful for the yoga courses we provide. Yoga influenced not only the physical body of the person but also the mind, the psychological “body” if we can put it like this. After finishing the courses, their minds are balanced and their bodies feel rejuvenated, alive. The conclusion to this is that Yoga Teacher Training in Goa is much more than a holiday retreat. It is a place where you can experience true spirituality. 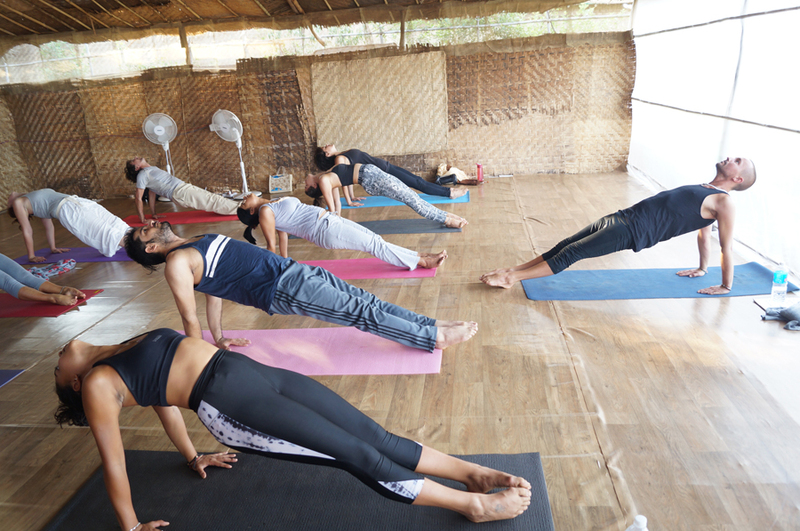 The air is peaceful, the beaches are serene, the sound of the waves are soothing and the beach view resorts gives a wonderful sight, all of these making Goa the perfect retreat for studying yoga. You can browse online and choose the perfect yoga training center for you, but you can also check the schedules to plan yourself a yoga holiday. Feel free to contact us for more details. You can also check out Yoga Retreat Course in Goa, Yoga Teacher Training course in Dharamsala and Yoga Teacher Training course in Rishikesh.